Current European Mono Cylinder Cup points leader, Jordan Ford, heads to the iconic Le Mans Bugatti Circuit this weekend looking to seal his first Euro title. Coming off a double victory in rounds 3 & 4 at Assen in August, the young Victorian holds a slender lead over reigning Champion, Gavin Bennett. Paul Platt currently sits third in the championship but will miss these final rounds. 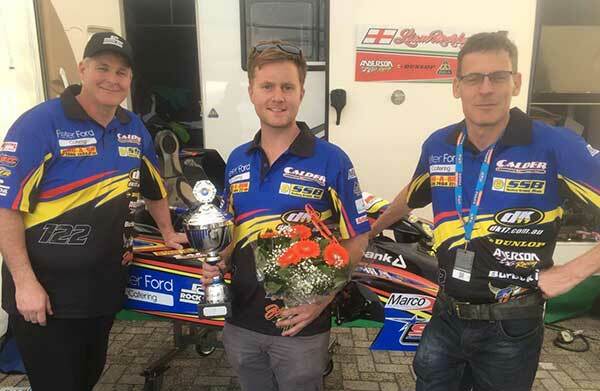 Ford will be hit the track Friday in his Anderson/DEA kart as the man to beat having won three of the first four rounds at Donington and Assen, taking pole and lap records at both venues. For Jordan it will be another bucket list item ticked off. “It’s been an unbelievable year, to race at tracks like Assen and Lemans is a dream for any racer” stated Ford. “I can’t thank Williams Racing enough for putting this deal together, those guys and Russell and Matt from Anderson have given me a rocket ship!” added Ford. 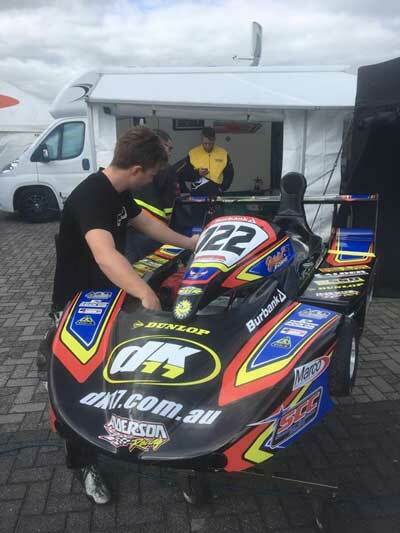 Jordan’s Anderson Maverick chassis and DEA engines will be tuned by legendary kart builder, Kiwi born Russell Anderson, who has been busy on the dyno in between events. Matt Morrell will again turn spanners with Scott & Dale Williams. Round 5 of the series takes place on Saturday with a field of 36 Superkars entered, the final round is scheduled for Sunday afternoon. After becoming the first Australian to stand on a CIK Superkart Podium, can Ford becoming the first to win a European Mono Cup Championship? As always Williams Racing would like to thank their sponsors, without their support none of this would be possible. Dunlop Kartsport & DK17, Anderson Karts, Peter Ford Catering, Burbank Homes, Slipstream Signs, Ring-A-Bin, Brazilian Butterfly, Calder Landscaping, Sunbury Collision Centre, Marco Roofing, R&J Batteries, AutoAction and Sunbury Screens & Blinds.